Each medical doctor is required to complete 150 hours of continuing medical education in courses or programs approved by the board of which not less than 75 hours of the required 150 hours must be earned in courses or programs designated as either Category 1 (accredited) or Category 6 (residency) programs. Category 1 – Maximum: 150 hours Continuing medical activities with accredited sponsorship – programs designated as Category 1 programs by a sponsor accredited by the Accreditation Council for Continuing Medical Education or a State Medical Society – Certificate of Attendance. Each nurse is required to complete not less than 25 hours of continuing education contact hours that are approved by the Board during the 2 years preceding an application for renewal or relicensure. Select: Dentist CE Requirements REQUIREMENTS FOR RENEWAL Each Dentist is required to possess current certification in basic or advanced cardiac life support and to have completed not less than 60 hours of continuing education approved by the board during the 3-year period immediately preceding the application for renewal, including at least 1 continuing education credit in pain and symptom management in each renewal period. STANDARDS AND REQUIREMENTS (2)The board adopts by reference the standards criteria of the National Sponsor Approval Program of the American Dental Association Continuing Education Recognition Program (ADA CERP) for approval of continuing education sponsoring organization. Approval of a sponsor by the ADA CERP, or by any constituent group, shall constitute prima facie evidence that the sponsor meets the standards and criteria adopted by the board. (5)The board adopts by reference the standards for certification in basic and advanced cardiac life support set forth by the American Heart Association. R 338.3041 Continuing education requirements; applicability. (4) Except as otherwise provided in subrules (2) and (3) of this rule, an applicant for renewal of a pharmacist’s license shall furnish the board with satisfactory evidence that the applicant completed not less than 30 hours of continuing education credits acceptable to the board, R 338.3043 Education courses and programs; standards for approval. (3) A continuing education course or program shall be developed and presented by a sponsor and shall provide all of the following: (4) The accreditation council for pharmacy education (acpe) may certify a provider whose course or program was developed and presented in compliance with subrule (3) of this rule. 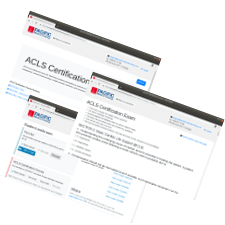 See: Personnel Continuing Education Requirements In addition, a copy of your CPR card meeting basic life support standards for a professional provider, as set forth by the American Heart Association and published in “Guidelines for Cardiopulmonary Resuscitation and Emergency Cardiovascular Care”, is required. Acceptable CPR cards are as follows: American Heart Association, American Red Cross, ASHI, and AAOS/ESCI. Additionally, ANY CPR certification that is done completely online WILL NOT be acceptable. Bloodborne Pathogen Training (Minnesota Department of Health) MDH does not accept online Bloodborne Pathogen Training from American Heart Association or Red Cross. These classes require additional site specific training that MDH cannot verify is being conducted. These classes are also not testing participants at the conclusion of the training. MDH wants to ensure all technicians are receiving the best educational experiences available to them, while keeping the safety of their consumers in mind. Total number of locations: 65. These locations CAN provide American Heart Association-branded provider cards if needed.